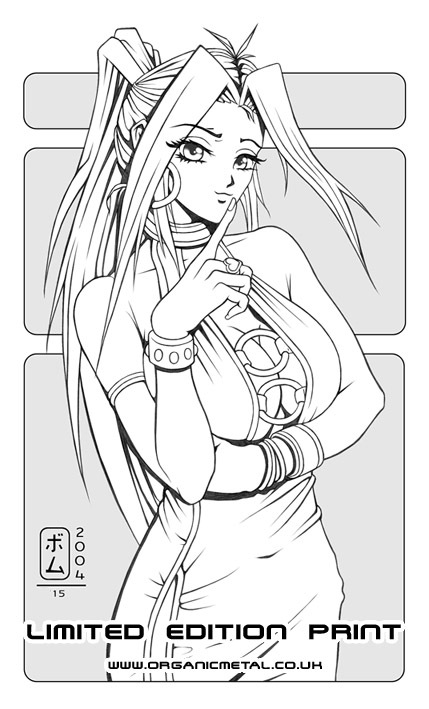 The manga girl "Kandy". Original character illustration print by Ben Krefta. This is a limited edition and signed. Only available from Organic Metal. An ideal gift for fans of anime, manga, artwork etc. It's signed & dated print limited to just 15 in the world, which makes it very rare! Each includes its own certificate of authenticity. Printed on pure white 90gram per m/s A3 (11.5x16.5 Inch) paper. The actual image size is approx 8.5x13.5 inches, which allows a boarder for framing. The words "limited edition print" and web site address do not appear on the final print. I'm from the UK and can accept payment through Paypal via the link above. E-mail me if you require further product info. Item can be posted internationally. Listed priced include postage costs.